The minstrel warned us that the train is coming. The older you get the more likely you will learn what it is to experience the effects of age, if not on yourself then on someone in your life. 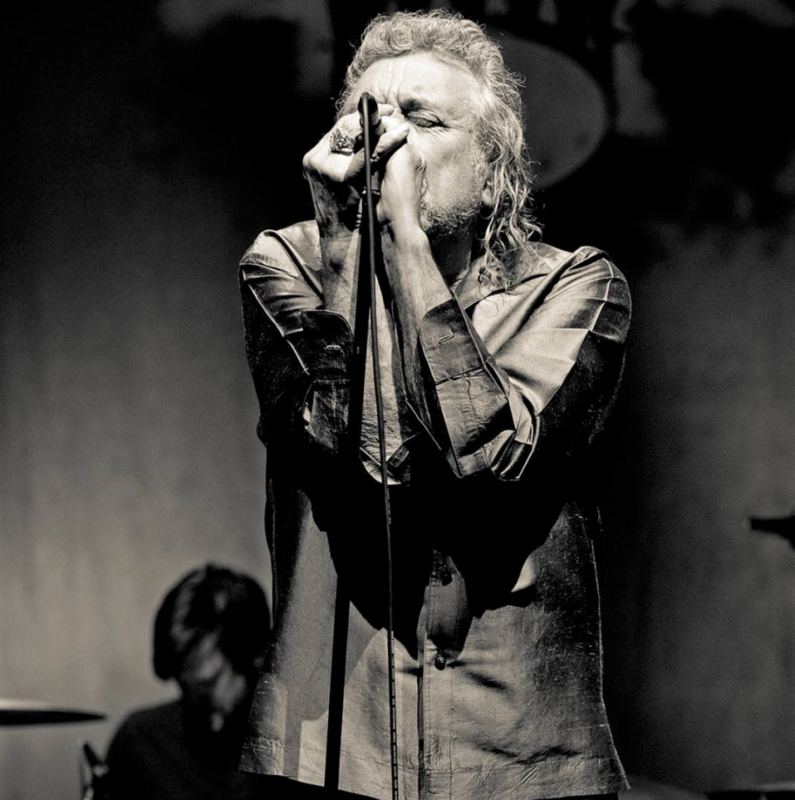 In his 69 years, Robert Plant has faced the loss of close family and friends, and nearly the loss of his muse when he almost quit singing after the death of his son, Karac, in 1977. But he is not one to dwell on the past. Since the break-up of Led Zeppelin in 1980 following the death of drummer John Bonham, Robert Plant has record 14 albums, six of them after he turned 50. He scoffs at those who would question how he stays inspired at an age when many have retired from their work, and he writes songs that celebrate living, not losing. But his art does not belong to him. His songs are to be interpreted by a willing audience, and as the humid air swallowed the night whole, I heard him sing and speak of growing older. He reinterpreted a song he wrote in his 20s, “Goin’ to California,” through the voice of an aging hippie with an improvised lyric about searching but not finding his May Queen after many decades of trying. The muse of mortality made itself known plainly in Bukka White’s “Fixin’ to Die,” when the narrator, an old blues man, sang of black smoke rising above his head and implored Jesus to make up his dying bed (an image that Plant used in Led Zeppelin’s adaptation of “In My Time of Dying”). At one point in “Fixin’ to Die,” Plant paused in his singing and said flatly, “The train is coming, Chicago,” an unmistakable reference to mortality that evoked something Bruce Springsteen once said about becoming a more prolific artist as he ages: the light from the oncoming train focuses the mind. The train is coming. Are we ready? This entry was posted in Music and tagged Bruce Springsteen, Carry Fire, David Deal, Led Zeppelin, Robert Plant, Superhype. Bookmark the permalink.